The Authors Guild is turning over a new leaf this week. Along with a new initiative to educate authors on publishing contracts, The Authors Guild also announced a new deal with Open Road Media yesterday to help TAG members get their out-of-print backlist titles into the market. Today, the Authors Guild and Open Road Integrated Media announced a new partnership for the Authors Guild’s Back in Print program, one of the Guild’s most popular services. Through Open Road, Authors Guild members will be able to distribute print-on-demand, e-book, and audiobook editions of their out-of-print titles. The e-books and audio book options are new to the program. While that deal doesn't sound like a new leaf, David Gaughran points out that the partnership with Open Road Media replaces a deal between The Authors Guild and the noted vanity press operator Author Solutions. Yes, the same company which is owned by Penguin Random House and is the subject of multiple class action lawsuits. The announcement was made yesterday at Book Expo America, but the Authors Guild decided to bury its own lede. No mention is made of Author Solutions, just a brief mention of the subsidiary which the Authors Guild was partnered with: iUniverse. If I hadn’t been waiting for this announcement, I would have missed it. 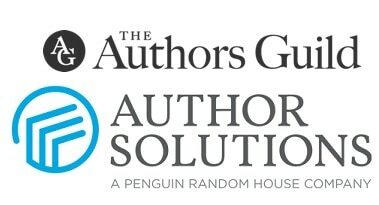 It’s almost as if the Authors Guild is trying to airbrush its partnership with Author Solutions from the history books. As if it was all just a bad dream. I will admit, I missed the connection. The Authors Guild had been partnered with iUniverse since 1999, long before iUniverse had been absorbed into Author Solutions (in 2007). That contract had been renewed (in 2008 and in 2011) even though the quality of the customer service plummeted once Author Solutions bought iUniverse. David goes into the former partnership in some detail, but now that it is over I care less about the nuances of how authors were cheated than I do about the program being dead. Yes, The Authors Guild was in bed with Author Solutions, and yes, The Authors Guild was raking in a 10% cut of revenues from that deal, but I'm more interested in the news that the deal is dead. As anyone who has read this blog for a while can tell you, I like to bash The Authors Guild for acting against the interests of authors. I thought this group was basically a puppet for publishers, and referred to them as such. But over the past day I have reported on two stories which suggest that The Authors Guild has changed its tune, and that is the far more interesting story. Edit: A reader reminds me that The Authors Guild also has a new executive director. Mary Rasenberger replaced Paul Aiken in October 2014. Thanks, Anne! Amazon Now Blocking Publishers (but Not Retailers) From Emailing eBooks to Your Kindle? Just to clarify (my post was unclear – sorry), publishing partners generally have three year contracts. The first was in 1999 and in 2014 the AG decided not to renew (the transition took longer than expected). The 2008/2011 dates are supposition on my part, but it fits the three-year cycle: 1999, 2002, 2005, 2008, 2011, 2014 (not renewed). My attempted point with mentioning 2008/2011 is that this was two previous opportunities not to renew, when the problems with iUniverse were already clear. 2011 is especially poor decision making, given the options already existing by then. And we’ll see how the Open Road deal goes – we don’t know the terms yet. Even if that all checks out, the AG should be doing a lot more here. It should be providing independent, objective information on all the publishing options available to writers and advocating for improving all of them. Okay. Thanks for the clarification, David. BTW that also means that Simon & Schuster’s contract should be up for renewal this year. Rumor has it that Archway is one of the most lucrative imprints, so I’d be surprised if they gave it up easily. Archway and Balboa are two of AS’s biggest partner inprints for churning output. Do you know how many ISBNs they’re selling? Balboa was run for a time just by Hayhouse, that’s why there is a split between Hayhouse isbn and ASI isbn. Detail is in the Bowker report I sent you. Thanks. I’ll have to take your word on it; Archway isn’t showing up when I search fro it and I don’t see it anywhere. Search Amazon books (advanced search) by publisher imprint. Reminder that the AG has a new Executive Director who appears to be well versed in IP law. She could well be the driving force behind these changes. I had forgotten about that, thanks. I also wonder how much of an impact having C J Lyons–a successful hybrid author–on the Executive Council has had. It will make a difference that there is the voice of someone who has self-published and is proud of it. Yup. She knows the score.